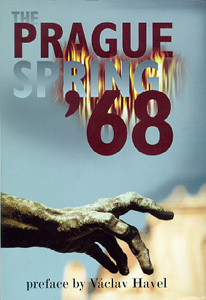 "I am happy that the cooperation between the National Security Archive in Washington and the Czech foundation, Prague Spring 1968, has resulted in this voluminous collection of documents, which, I hope, will lead American readers to a closer understanding of the dramatic events that the then Czechoslovakia lived through three decades ago." -- from the preface by Václav Havel, President of the Czech Republic "Th[is] volume constitutes an unparalleled resource of primary documentation on the events of 1968, which is of inestimable value for future researchers, and equally valuable for classroom use and for a broader attentive public. The documents give one the impression of sitting in on meetings of the Soviet Politburo or conferences of the bloc states, looking over the shoulder of Brezhnev as he wrote letters to Dubček, reading the top secret dispatches of Soviet ambassadors and generals, and listening in to telephone conversations between Brezhnev and Dubček at the height of the crisis in August." Sample Document: Transcript of Leonid Brezhnev's Telephone Conversation with Alexander Dubček, August 13, 1968. In addition to revealing the events surrounding the invasion of Czechoslovakia in 1968, this is the first book to provide such extensive documentation of a cold war crisis from both sides of the Iron Curtain. It is based on unprecedented access to the previously closed archives of each member of the Warsaw Pact, as well as once highly classified American documents from the National Security Council, CIA, and other Intelligence agencies. 140 documents in all are reproduced. Presented in a highly readable volume, the book offers top-level documents from Kremlin Politburo meetings, multilateral sessions of the Warsaw Pact leading up to the decision to invade, transcripts of KGB-recorded telephone conversations between Leonid Brezhnev and Alexander Dubček. To provide a historical and political context, the editors have prepared essays to introduce each section of the volume. A chronology, glossary, and bibliography offer further background information for the reader. The editors have a unique perspective to offer to foreign audiences since they are members of the commission appointed by Václav Havel to investigate the events of 1967-1970.